What’s whipped lardo? If you are squirmish about your fat intake, jump to the next dish. 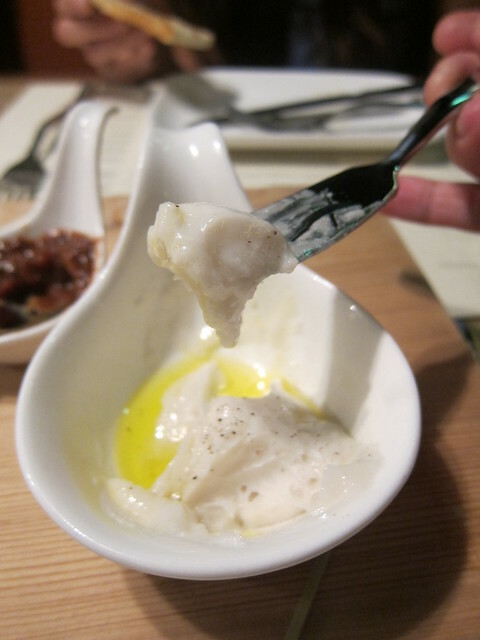 Whipped lardo is simply solid lardo whipped into a creamy consistency. Think pork lard. 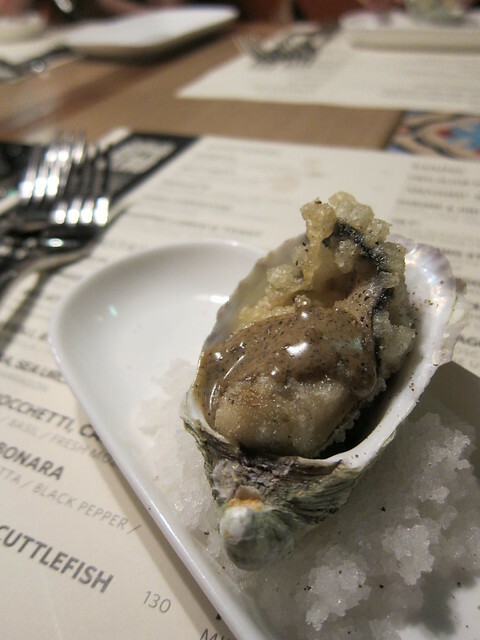 Meshed, blended, beaten, strained into butter-like texture. Now spread that over toasts. Close your eyes, and devour. Want to taste it better? Take a spoonful. Come on, it won’t kill you, plus didn’t you know lard is the best cure for hangover? Exactly. Doppio Zero is famed for its pasta, and you will be spoiled for choice with its long list of options, from bolognese to ravioli to carbonara. 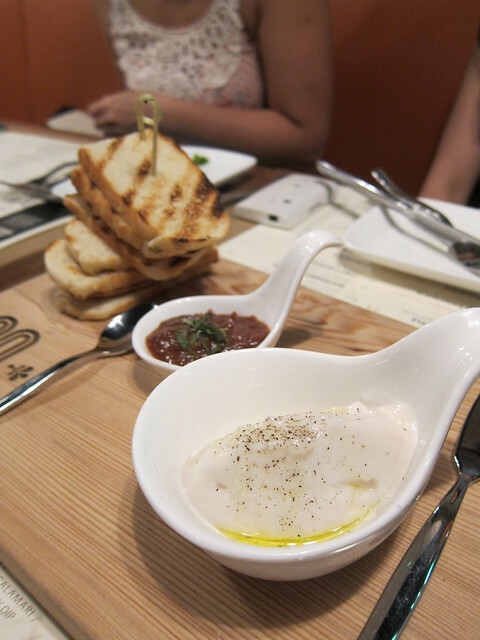 “Doppio Zero” actually means ’00’ flour, and most of its pasta are freshly made in-house. 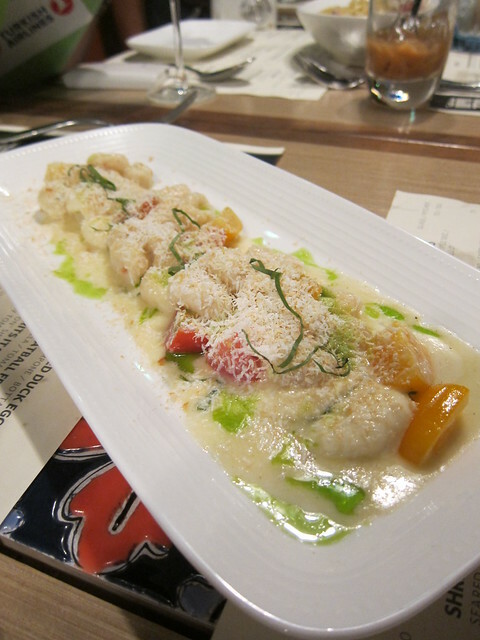 The various pasta we tried were as varied as our preferences, yet done just right. I don’t know about you, but I like my pasta dressed lightly, like a salad. Not drowning in sauce. The kitchen here did it just right. Poached duck eggs with soft polenta. Not long after this shot was taken, the fearless ladies poked the perfectly cooked yolks into smithereens, and we tucked in. 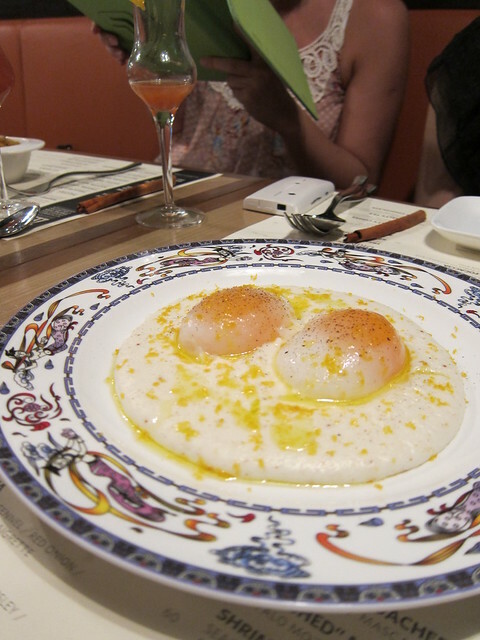 The runny eggs mixed with the polenta to create an interesting tangy texture; creamy yet slightly sweet. Highly recommended. 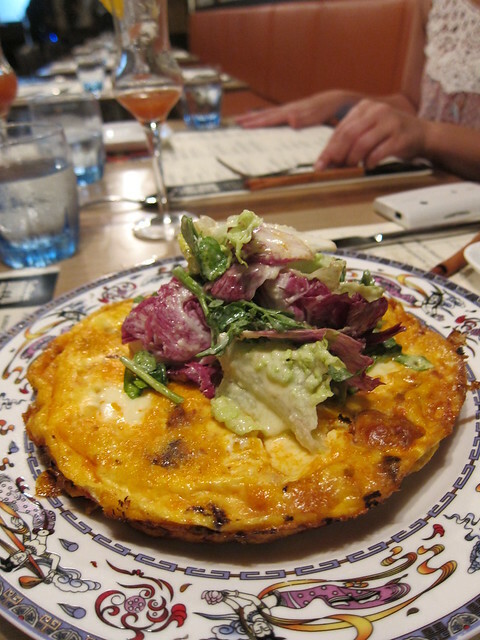 Frittata with cheese and milk with four eggs. Need I say more? I am not exactly your common meat lover but this dish went right down a treat. What a clever, clever twist to the world most complicated cocktail. 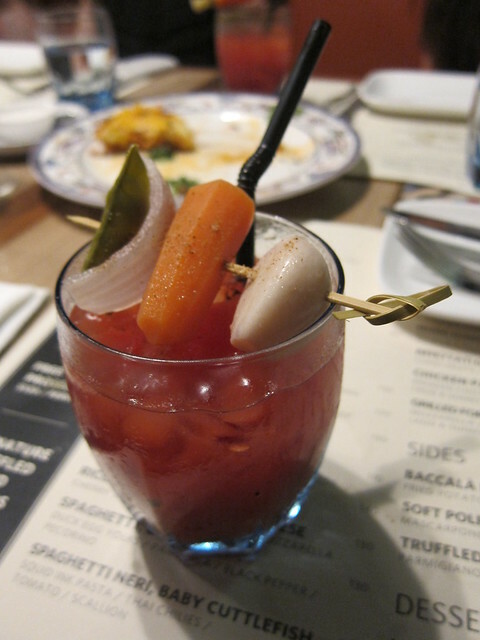 This Italian-style bloody Mary was fiery in a good way, and that stick of pickled vegetables? A touch of pure genius. 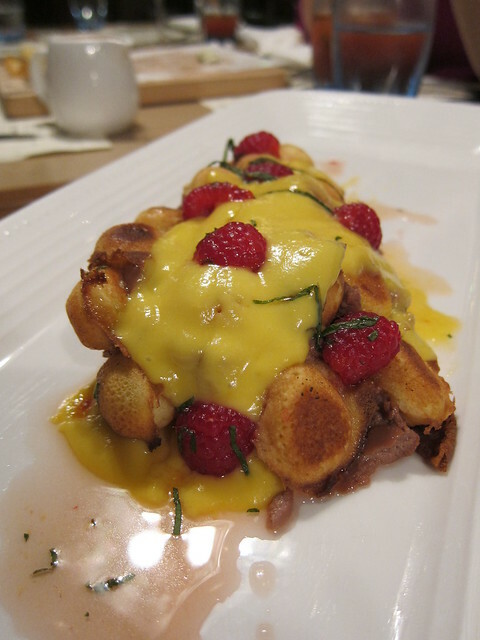 If your stomach is not bursting at its seam by now, give these interesting fusions a spin as well: Sangria Toscano, GLT, Yin Yang Affogato and HK Style Egg Waffle. The “gai dan jai” was curiously done up with ricotta and, wait for it… nutella! The verdict? Doppio Zero lived up to its reputation and certainly deserves more attention. I have recommended no fewer than five friends to visit so far, and I have put them onto my birthday-party-venue shortlist.